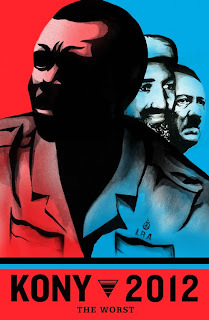 KONY 2012 is directed by Jason Russell and runs just thirty minutes; the video has received over twenty million views on YouTube and Vimeo and it’s national support group on Facebook is said to gain 4,000 members each hour. The highly produced feature is narrated from the perspective of Russell and his attempt to explain the Lord’s Resistance Army to his infant son, Gavin. The video features footage from Russell’s trip to Uganda (prior to 2006, when the LRA was still operating in the region) and introduces the viewer to Jacob, a Ugandan boy who was formally recruited by the LRA as a child soldier. 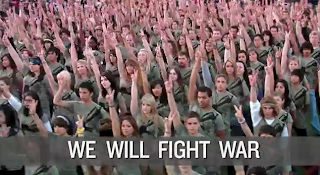 Russell presents various montages of ethically diverse groups of students raising their fists in the air, sporting KONY t-shirts, and scenes of mass celebration in response to President Obama signing the S. 1067: Lord's Resistance Army Disarmament and Northern Uganda Recovery Act of 2009. The production targets an age group between thirteen and twenty-one, and uses a level of academic vocabulary appropriate for a young adult audience with a limited attention span; the narrator at one point even insists the viewer pay attention. The viewer is encouraged to form an emotional connection to Russell, as we witness unrelated footage of his child’s birth. The viewer is then subsequently associated with Russell’s role as a nurturer to his young son, before shifting to scenes of Russell nurturing the Ugandan child soldier, Jacob. Russell is shown prophetically pledging to stop the LRA to the traumatized and crying young boy. The intimate portrayal of emotion in these scenes work to further incite a reactionary response from the viewer, towards the preordained conclusion suggested in the narrative - a mass mobilization of support for the US military in their efforts to stop Jacob’s source of trauma. Bernays’ would be beside himself. Furthermore, the film was produced by an organization called Invisible Children, Inc., who have been criticized by the Better Business Bureau for refusing to provide necessary information in the Bureau’s standards assessment. Invisible Children, Inc. has failed to disclose a list of sponsors (beyond the donations of American high school students), and has also earned a low rating in accountability from Charity Navigator because they won’t let their financials be independently audited. 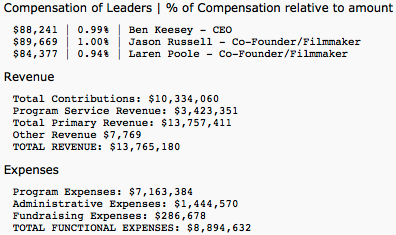 In a 2011 financial statement, the organization disclosed that only 31% of all the funds they receive are used for charitable purposes, with the majority allocated toward travel expenses and employee salaries. 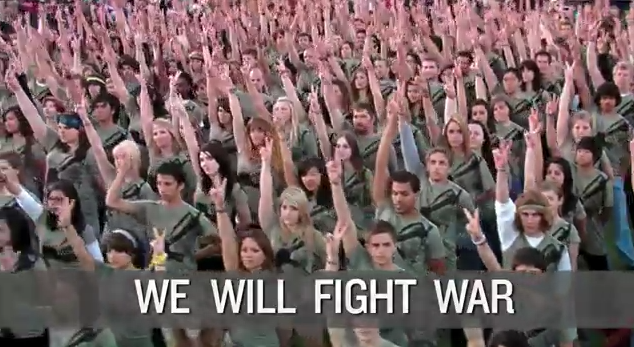 Invisible Children has also been accused of fraud and voter manipulation in a recent charity contest sponsored by Chase Bank and Facebook. The group’s Co-Founder and President, Laren Poole addressed the International Criminal Court in 2009 alongside Aryeh Neier, President of George Soros’ pro-war Open Society Institute. Through AFRICOM, the United States is seeking a foothold in the incredibly resource rich central African block in a further maneuver to aggregate regional hegemony over China. 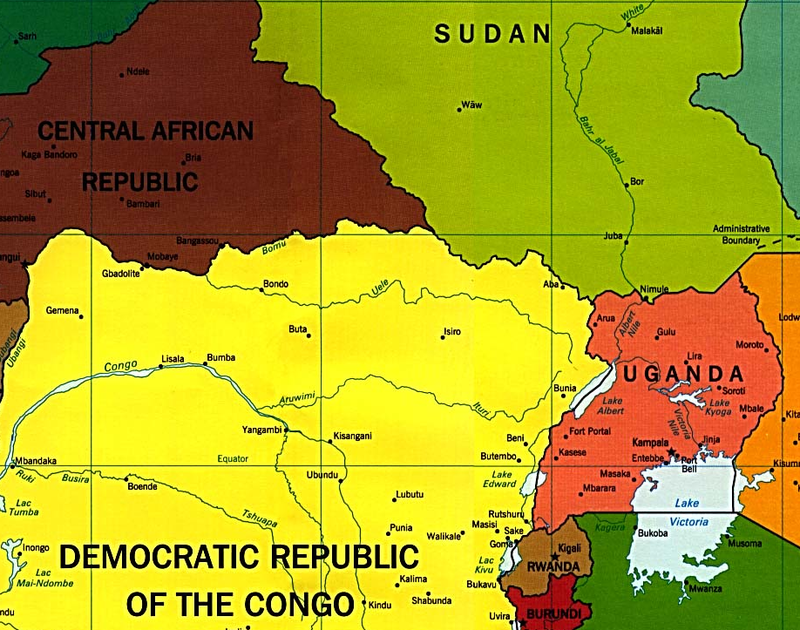 DRC is one of the world’s largest regions without an effectively functioning government. It contains vast deposits of diamonds, cobalt, copper, uranium, magnesium, and tin while producing over $1 billion in gold each year. It is entirely feasible that the US can considerably increase its presence in DRC under the pretext of capturing Joseph Kony. The US may further mobilize ground forces, in addition to the use of predator drones and targeted missile strikes, inevitably killing civilians. In a press conference at the House Armed Services Committee on March 13, 2008, AFRICOM Commander, General William Ward stated that AFRICOM will further its regional presence by "operating under the principle theatre-goal of combating terrorism”.